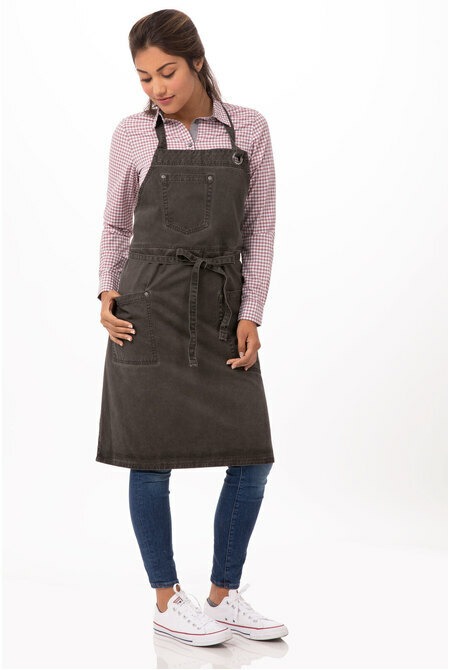 The Boulder Bib Apron is part of our Urban Collection; a street-inspired line of culinary apparel that provides the perfect combination of edgy fashion and forward-thinking functionality. 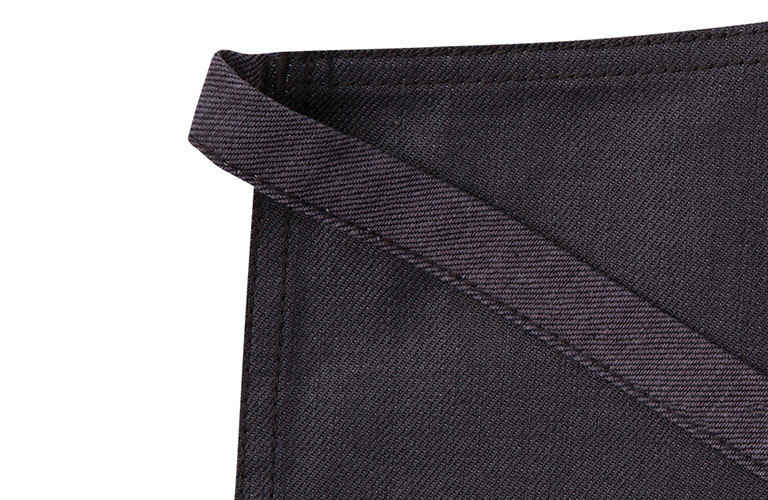 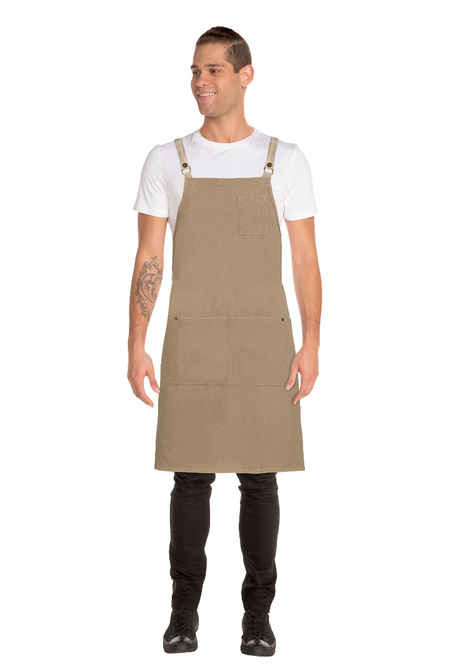 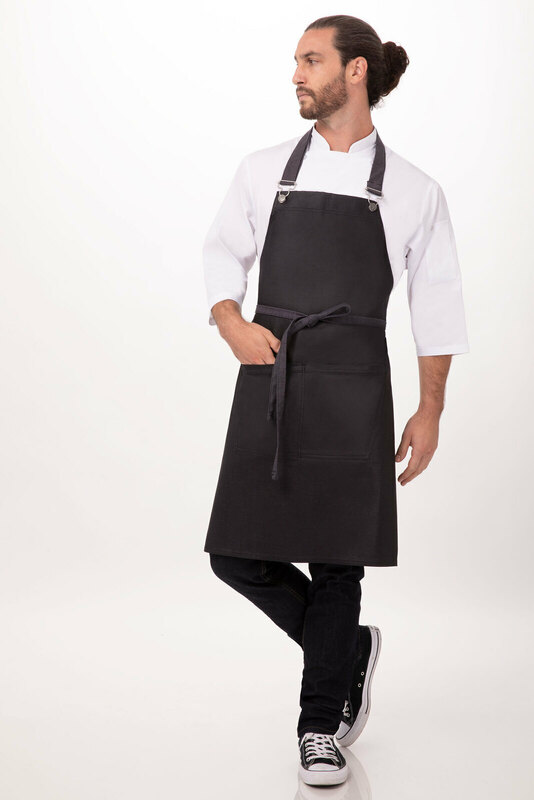 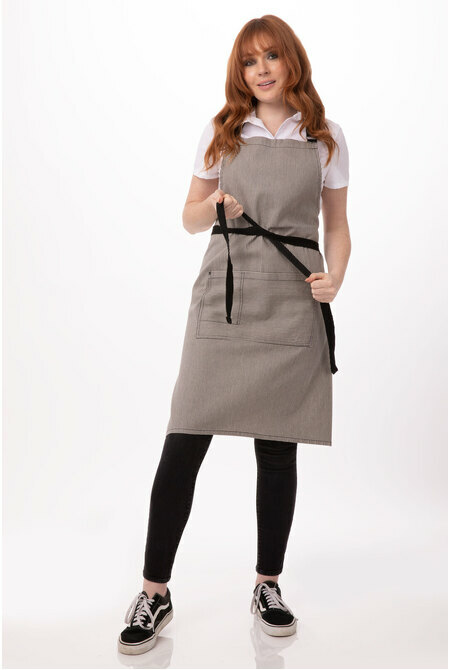 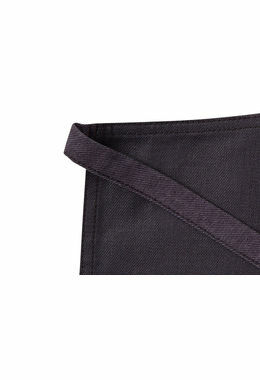 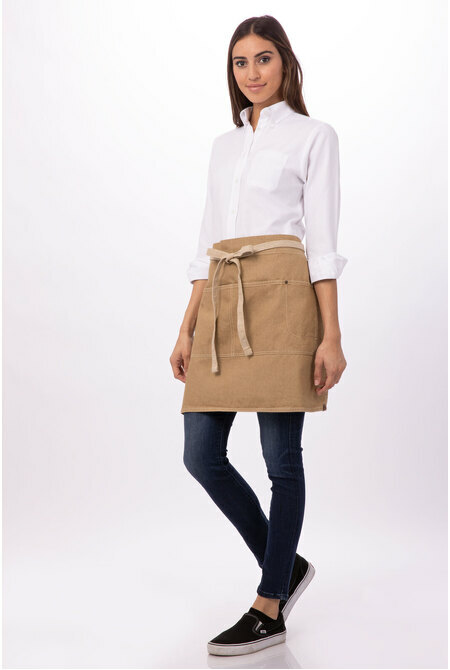 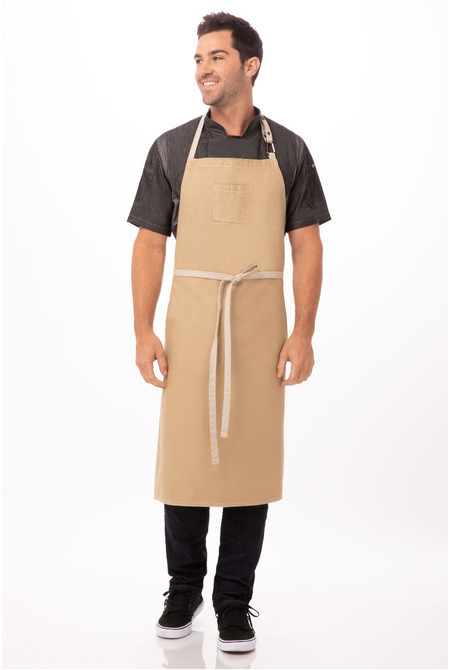 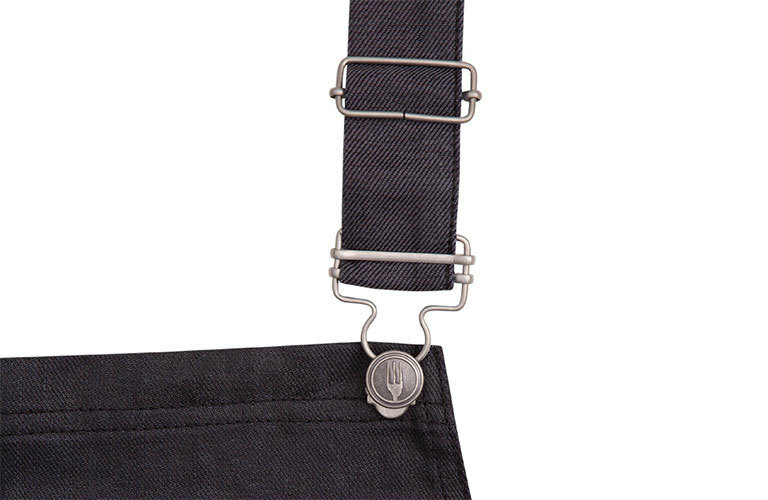 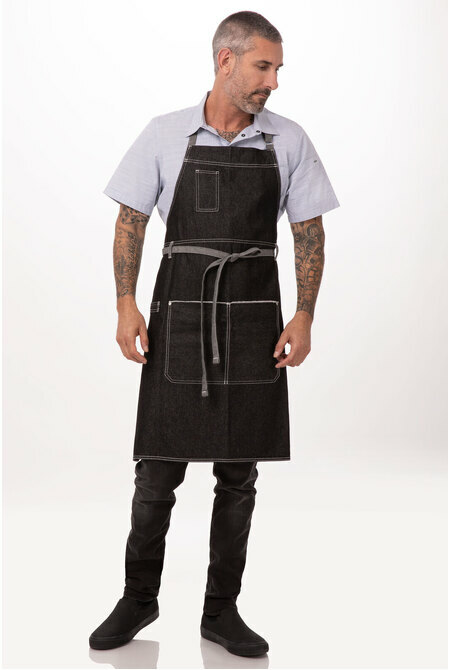 This apron is made of 100% cotton denim with a waxed finish look and features a towel loop, reinforced stress points, an adjustable neck with overall clips and double front pockets. 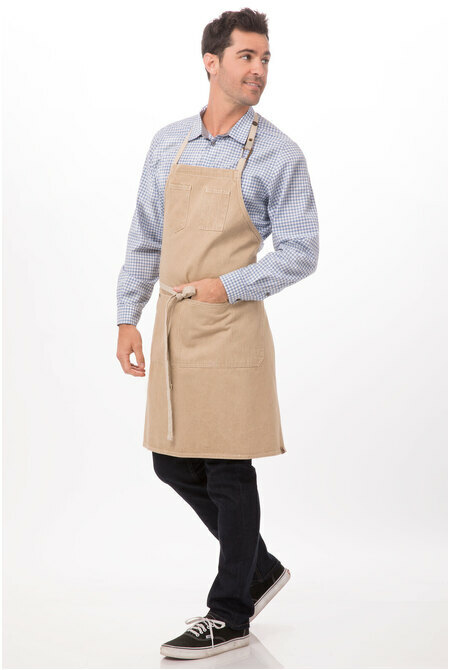 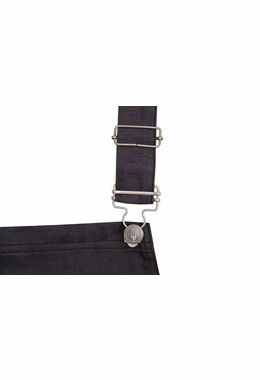 The Boulder Bib Apron is available in black-brown and black-purple and measures: 86.5cmL x 76cmW.